As macabre as it may sound, the sight of cooked chickens and ducks dangling from gruesome hooks typifies the South East Asian food experience for many of us; often eliciting sympathy and hunger in equal measure. 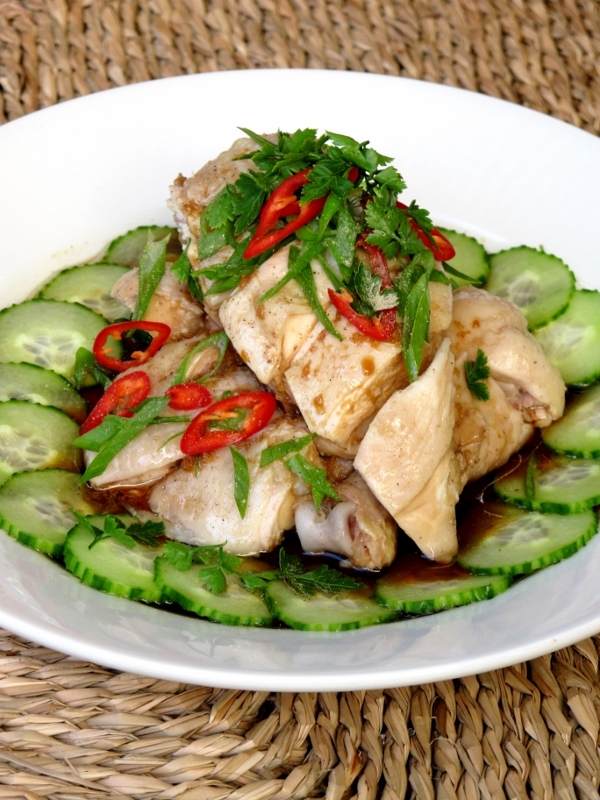 For me though, it gives me pangs of nostalgia for what is, perhaps, one of my favourite Malaysian dishes – Hainanese Chicken Rice. Unsurprisingly, I’m not alone in my love for this dish either, as it appeared at number 45 on CNN’s World’s 50 Most Delicious Foods. Hainanese Chicken Rice’s enduring popularity is testament to the appeal of its uncomplicated nuances and its surprising depth of flavour. Typically there are two types of chicken on offer at any given Chicken Rice stall in South East Asia; poached (white) or roasted (brown). Growing up, I always preferred the latter, as I was a bit put off by the opaque appearance of the poached variety – if only I’d been a more adventurous child! Whilst the roasted version is undoubtedly very tasty, the poached version is in fact superior in both flavour and texture. Not only does the poaching process have a transformative effect on the meat and skin of the chicken (making it impossibly silky), it also imparts a subtle depth of flavour that enhances the chicken, rather than overpowering it. In addition to being tastier than its roasted counterpart, the white version is also much easier to make! With a name like Chicken Rice, it should come as no surprise that the rice plays an equally important role in the dish! The good news is that the chicken’s poaching broth doubles-up as the stock used in making the rice. So getting the rice just right isn’t much of a chore – simply use the stock instead of water when making your rice. The stock can also be frozen and reused indefinitely, creating a depth of flavour that only gets better with each chicken poached. 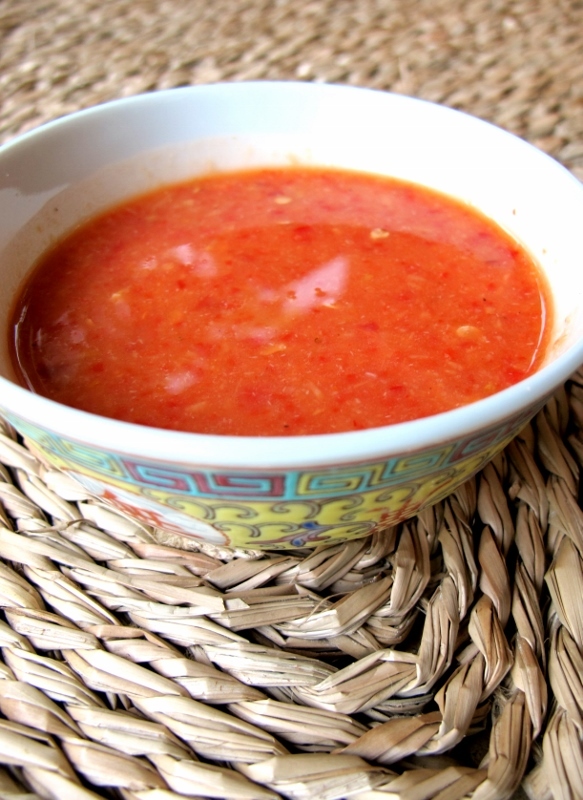 A third, and equally important, element to Chicken Rice is its unique chilli sauce. This light, zesty sauce is both fragrant and hot – the prefect accompaniment to the “clean-tasting” chicken; it is an absolute must! Poach the chicken for 15 minutes, not a minute more or less. Allow the chicken to sit in the stock at room temperature for at least 3 hours – don’t be tempted to peek! Adding herbs like oregano, thyme, etc. would make the recipe pop!